The business market can be one of the most lucrative but under served segments for financial professionals. One of the most difficult scenarios business owners face is the solely owned business. Without another major owner to participate in a traditional buy out, many businesses end up being liquidated at little value with a negative impact on the employees. Assuming the business has some capable key employees or can attract them, all is not lost. Business owners can choose from one of four common options. A long-term installment sale was a traditional approach to employees buying a business. After agreeing on a value the employee or employees agree to buy the business over a period of seven to ten years. The former owner holds a promissory note with installment payments over a seven to ten year period with a reasonable interest rate, signed by the buyers. The note is secured by the assets and stock of the business and the personal guarantee and collateral (usually residences) of the buyers. This is the least secure option. This transaction structure draws upon the company’s management resources, outside equity or seller equity, and significant debt financing. This structure can be an ideal way to reward your key employees, position the company for growth, and minimize or eliminate ongoing financial risk. To effectively execute a leveraged management buyout, the business should possess the following characteristics. Stable and predictable cash flow. Good prospects for future prosperity and growth. The growth of the company should be described in detail in a management prepared business plan. A solid tangible asset base, such as accounts receivable, inventory, machinery and equipment. Hard assets make it easier to finance the acquisition through the use of debt, but service companies without significant tangible assets can obtain debt financing, albeit at higher cost. An Employee Stock Ownership Plan (ESOP) is a tax-qualified retirement plan that must invest primarily in the stock of the company. In operation, it works just like a profit sharing plan: the company’s contributions to the ESOP are tax-deductible to the company and tax-free to the ESOP and its participants essentially all of the company’s employees. In the context of selling at least part of the business to the key employees, the ESOP is used to accumulate cash as well as to borrow money from a financial institution. It uses this money to buy the business owner’s stock. Key employees will likely own a significant part of that stock because ESOP allocations to participants are based on compensation. Typically, however, key employees will want more than indirect ownership. They will want to control the company and purchase a controlling minority interest in the company. There can be significant tax advantages with this approach. It works best with stable long term employee groups. Transfer their businesses to key employees. Receive full value for their businesses and tie key employees to the company. This is done by making it economically rewarding for key employees to stay with the company. Begin the buyout of a portion of the owners interest in the company by selling to two existing key employees 10% of the stock which has been converted to non-voting shares. The initial purchase price will be paid in cash. If either key employee needs to borrow funds to secure the necessary cash, the owner will be willing to guarantee the key employee’s promissory note to a bank. The plan also includes a two-phase sale of the business. First will be the sale of an initial minority interest from a pool of 40 percent of the company’s total outstanding stock, which has been converted to non-voting shares, for current and future purchases by key employees. Initially, five percent will be owned by each buyer. For purposes of the initial buy-in and any future repurchases of that stock, the value of the stock is based on a valuation (with minority and other discounts) provided by a formal valuation. In many cases this discounted value could be as low as 50% of the true value of the shares. A lower initial value is necessary in order to make the purchase affordable to the employees as well as to provide them an incentive to remain with the company. Enjoyment of actual stock ownership in the company, and receiving any appreciation in the stock. Participating based on their stock ownership in any distributions made by the company. Participating in determining which if any additional key employees will be offered stock out of the 40 percent pool. Ongoing purchase payments can be made by the key employees using bonuses and earnings from the company. Once they have acquired a significant minority interest, loans may be available through private or banking sources to continue the buyout. Each key employee purchasing stock will enter into a stock purchase agreement. The agreement with the company would provide for the repurchase of stock in the event of death, long-term disability, or termination of employment of each party to the agreement. An entity type of agreement is most suitable for this strategy. This plan needs a backstop and a way for the key employees to make the final completing purchase payments. The backstop could be provided by permanent life insurance on each party to the agreement, which would complete the sale if a party to the agreement dies prematurely. If the policies are permanent and smartly funded, tax free cash value via policy loans could be used to complete the sale at the end of the installment period. The entity style of buy sell agreement provides an additional element of security to the original business owner, because the business owns the policies that are being used to fund the agreement completing stock redemption. Look to your affinity groups or your current book to spot prospects who own small to medium sized businesses. 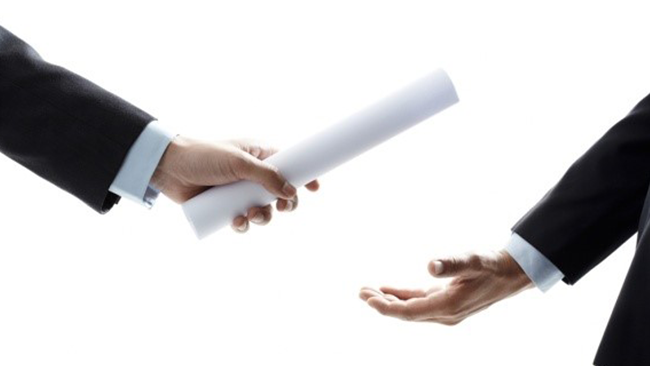 Whether they are solely owned or have several owners, business owners are vitally concerned about succession options for their businesses. Schedule a call to get started in this exciting market and for additional concepts to share with your clients. Partners Advantage Insurance Services and their representatives do not give tax or legal advice. Accordingly, any tax information provided is not intended or written to be used, and cannot be used, by any taxpayer for the purpose of avoiding penalties that may be imposed on the taxpayer. Discussions of the various planning strategies and issues are based on our understanding of the applicable federal income, gift, and estate tax laws in effect at the time of publication.However, these laws are subject to interpretation and change, and there is no guarantee that the relevant tax authorities will accept Partners Advantage’s interpretations. This material was written to support the promotion or marketing of the products, services, and/or concepts addressed in this brochure. Your clients are strongly encouraged to work with and consult with their tax advisors and attorneys.